How to Make Your Sitefinity Website 200 Times Faster? People love fast website and so does Search Engines. Google prefers blistering fast websites so much so that ‘site speed’ is a ranking factor. A fast site is a good user-experience (UX), and a satisfying UX leads to higher conversions. Slow website speed kills conversions. In fact, 47% of the visitors expect websites to load within 2 seconds or even less, and 40% will abandon a page if it takes more than 3 seconds to load. That alone is a huge blow to your potential conversion. An effective cache setup is the number one thing website owners can do to serve content to their visitors as quick as possible. You must have heard about the recent release of Sitefinity CMS 11.1. The important thing to notice here is that it fully supports distributed output cache, which can deliver up to 200 times better performance in some scenarios. If you are wondering what distributed output cache is and how does it function, you need to know about output cache. Caching means to store something in the memory that is being frequently used to provide better performance and avoid performing redundant work on the server. Output Caching allows to store the output of a particular controller in the memory and on subsequent web requests, and can serve content faster by retrieving and using the pre generated output from the cache instead of executing a page or controller to generate output from the scratch. Output caching offers a large number of advantages, such as- reducing server round trips, network traffic and database round trips. To understand this concept, you can take help of the diagram given below. By default, Sitefinity CMS uses web server memory to store the output cache items, making it capable of offering fastest speed and delivering the best page response time. Although, in-memory output cache storage needs no extra maintenance and configuration and is an easier solution, but it affects the server memory consumption footprints. Therefore, choosing the right caching configuration for Sitefinity website becomes a crucial architectural decision and can have a great impact on not only the website’s performance, but also in scalability and cost cutting. It decreases CPU and memory consumption on web server nodes. Fast loading of web page even on first request. Worker process recycling doesn’t cause loss of cache data. Less time to scale with an additional web server. Is Distributed Output Cache the Right Choice? Now that Sitefinity CMS offers you options to select between in-memory or distributed output cache, you can choose any of these caching strategies to fine tune and optimize your Sitefinity website’s performance. If you want to make your website lightning fast so that you can deliver better user experience and get a better conversion rate, then you should go for the distributed output cache. Distributed output cache is a fully supported out-of-the-box feature. 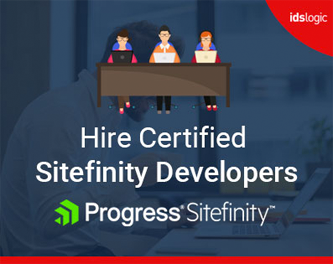 To switch from in-memory cache to distributed output cache, you will need an expertise in managing Sitefinity CMS and a technical know-how of cache architectural setup.